Free Cell is for Windows XP. Vista users will become addicted to picture puzzles, a fun application that lets you try to arrange puzzle pieces into a picture or play a number puzzle. If you’re already addicted picture puzzles in Windows Vista, consider adding it to your Sidebar so you can easily play them whenever you want to. Follow these steps. 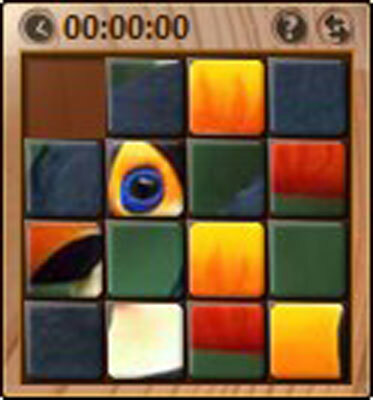 1Add the Picture Puzzle gadget to the Sidebar. 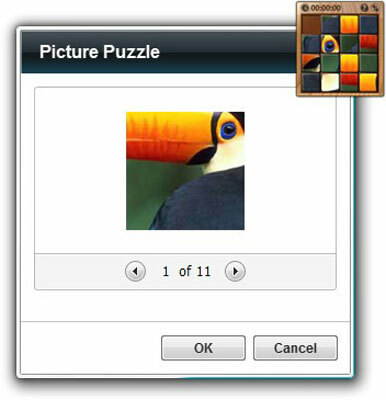 To access your puzzles easily, add the Picture Puzzle gadget to your Sidebar. 2Use the Picture Puzzle tools. Click either of the tools along the top of the puzzle for the following results: Show Picture displays the picture you’re trying to create; Solve rearranges the pieces into the picture, and after you have clicked Solve, you can click this button again (it’s then labeled Shuffle) to rearrange the pieces. Click any piece adjacent to a blank square. It moves into the blank space. Keep clicking and moving pieces until you get the numbers arranged in sequence from 1 to 15 (Number Puzzle) or the picture pieces arranged to form a picture (Picture Puzzle). You can find the Settings button to the right of the puzzle to display the puzzle’s settings dialog box. 5Click the Previous or Next button. To scroll through available pictures for the puzzle, click the Previous or Next button. 6Click OK to close the dialog box. Click OK after you find the picture you want.